…and no one claimed private ownership of any possessions, but everything they owned was held in common. We engage in service through four distinct teams. 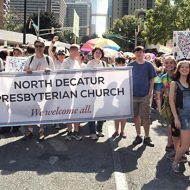 Serving our neighbors is essential to our Christian witness, and we invite you to learn more about the people, places, and issues that are important to our members. You can support this work by offering your time and talents, and through pledging financial support. 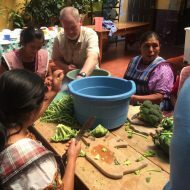 The mission of our Community Ministries is to provide the NDPC congregation with specific opportunities to respond to and serve the sick, poor, hungry, homeless, and others in need. 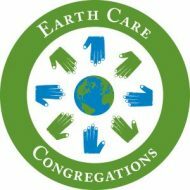 NDPC and its members have a longstanding commitment to caring for God’s creation and promoting humility and respect in our relationship to the earth. The mission of the Global Mission Council is to promote understanding of the challenges facing our global family and what it means to belong to the global Body of Christ. 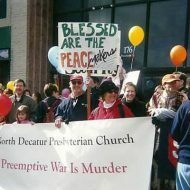 The Peace & Justice Committee serves Christ by leading education and advocacy to transform structural forces towards peace, justice, and a respect for human rights.